Continuing education: how do you continue to learn about horses? When I was a kid I loved to read anything to do with horses. We subscribed to an equine magazine but received most of our ‘training’ information from other people that we rode with. At one point my mom and I took lessons at a dressage barn but with limited success as our horses were so drastically different from the lesson horses we rode. There was no YouTube, no internet, and VHS videos were not even common. There were no clinics in my area until I was in high school. I had an awesome thing happen to me this weekend. 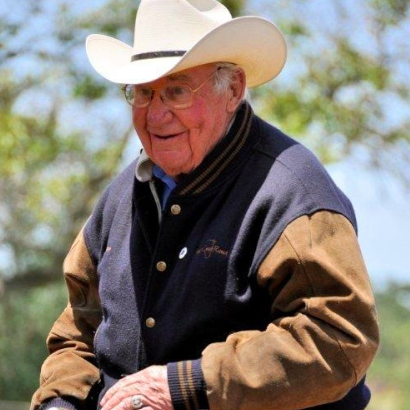 I was telling Jack Brainard that I wanted to learn more about western dressage and he invited me to come ride with him. I warned him that I would show up if he was serious…and he said he was! I’m so excited. What are your top three picks for ways to learn? How often do you seek out new information? I LOVE the Horse Expos that come around now. So many great horse people who are willing to share their knowledge. I also LOVE how it’s training and partnership with your horse, not “breaking” now days. I’ve always treated my horses with love and respect and we are partners. There are all kinds of clinics out there now if you have an issue with a horse that needs attention – usually it’s the person, not the horse that’s the problem – in the lack of communication. . . So much wonderful information is out there now, no one has an excuse anymore for not learning, then applying what they learned. Books, internet and staying as much as possible with my horses. #1-watch, like I’ve never seen it before. #2-listen/read with an open mind. I live in a city far, far away from a good riding stable. Hence, my most common way to learn is reading. Second, I watch videos. But my absolute favourite is simply experimenting. I read, yes, and then I go and do, and if it doesn’t work, I tweak it until it does. So much fun! So far, I learn best by watching videos (haven’t found that perfect trainer in person yet, which I think would be best). I have watched all of your videos on Jac (and most of your others), which is how I came to realize what a wealth of information there is out there. You are definitely right – the hard choice is finding GOOD information from people who share my same philosophies about horses and people. The most amazing feeling was taking something I learned from one of your videos with Jac and trying it on my horse. When it worked, I was nearly fell over (not because I doubted your ability, but mine!!!). It was the video where Jac turned out on the lunge line instead of toward you. I didn’t even realize that was a “thing.” So when one of my young horses did that, I followed your lead and corrected it, and she hasn’t done it since! Thank you for sharing your experiences – you really are reaching people and helping them! I also recently found Warwick Schiller’s videos and have learned from him as well! I read, watch videos, and, listen to my betters’ comments and conversation all the time. With respect to improving my own riding, it’s been extremely helpful to watch a demonstration of what my instructor is trying to get me to do. Often I find I can SEE where the weight goes, how the joints flex, and how the angles change, and how it all goes together, better than I can understand a description. This works really well for me in the ring; less so in a video where I am limited to the camera’s point of view, not to mention lighting and distance from the subject. Stacy, take note! I read posts from people struggling within my discipline. Plus information from riders in the upper levels. Also using tips from various current to level trainers and riders at the FEI level. Also, constantly challenging myself with more instruction, and watching other people ride. I think back to the times when I feel I learned the most or made big strides at getting better as a rider and trainer. I made the list then reread it and noticed it looks a little redundant in theme. Oh well. Whatever works right? 3. 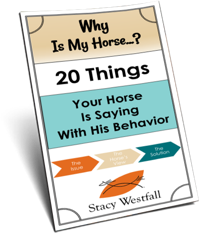 Following other trainers around, especially on my favorite Stacy Westfall blog. :-D.
4. I have to add a fourth, and that is books. The right books with illustrations to help explain a movement are so nice to go back and reference. They become lifelong guides. As far as how often do I seek out new information, two times come to mind. One, when I’m out of ideas on what to do next with my horse or student and two, when I realize that something I’m doing isn’t working and I need a new perspective. I do ride alone a lot so it’s also nice to have eyes on the ground giving tips and improvements that could be made. I find that by riding different horses that suit different types of riding and different breeds e.g draft horses to brumbies has definitely allowed me to learn a whole lot more than any book, person or video can teach you about the “outside info” that you might not know or want learn more about e.g. Western dressage. I find that if you ride a horse that suits the western dressage style or has been trained in it actually teaches you more than words heard or read. However watching other people ride in the particular style you want to learn and reading books about it can be very beneficial as well. Eitan Beth-Halachmy Stacy. They put on great clinics at Whitesboro, Tx. I was fortunate enough to ride with them in October last year. Great clinic, and talk about two legends to learn from! Great to see you and Newt at RTTH this weekend along with the mounted shooters. I worked and rode for a friend of Jack Brainard’s years ago, Ernie Vest. I learned a lot from both men and Mr Brainard is one that you can learn from just by listening to him. I was always a visual learner until I met him. I’m older and live where there are no trainers or clinitions. I subscribe to several magazines, buy books and videos. I’ve had clinics at my barn and have gone off to a few. I would love to have more clinics, but it’s hard to get people in my area to come. I have your videos that I bought at Road to the Horse years ago. 3. Sadly Western Clinics or Western Dressage Clinics are not readily held in New England. But I’m still hopeful. reading voraciously ALL the horse magazines I can get my hands on – watching voraciously all the on-line and TV (like HRTV) that I can get my hands on and taking lessons from a great and accomplished coach who teachs you to practice perfect and ride perfect and to observe your horse to communicate to you exactly when you are being perfect…..those are my three best ways to learn and get better…..
As a high school teacher, I understand the value of lifelong learning as it applies to my profession. As an adult beginning rider (I’ve been riding for about two years), I quickly learned that the pursuit of horse knowledge is an equally lifelong endeavor. (I once heard that to become an expert at something, you must spend at least 10,000 hours studying and practicing it). I learn best by watching and doing, so I take weekly one-hour lessons with my riding instructor and then practice what I’ve learned during my rides the rest of the week. I also watch LOTS of YouTube videos. I loved your series on Jac, Stacy, not because I’m training a horse myself (although most would agree that any time anyone works with horses they’re training — or UN-training! 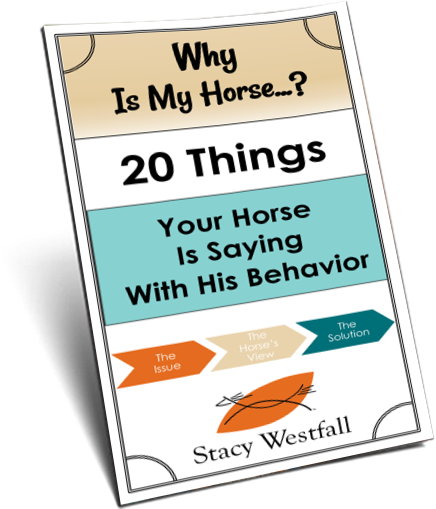 ), but because you got me thinking about how horses communicate with us and “ask questions” when we work with them. That was a huge ah-ha moment for me! I am also an avid reader and subscribe to a horse-related magazine as well as participate in Internet forums and read lots of books on horse behavior and riding technique. I try to learn something new about horses every day; there is a LOT to learn. At this point, I’m just trying to be a sponge and soak up as much knowledge as I can while being discerning, weighing conflicting opinions and considering the expertise of the source. I learn best by working with a trainer on my own horse. I took one of your clinics, Stacy, when you lived in Mt. Gilead and learned so much with my horse. I still have my notes and refer to them in my ground work from time to time. Another way to learn for me is to go to other people’s barns and see how they practice barn/stable management. I volunteered for a while at a horse sanctuary and every single day I picked up something new and different regarding a horse or the barn management practices. Lastly, I learn by going to seminars etc., such as the Equine Affair which is coming up soon. what exactly is western dressage ? how is it different from reining ? ?